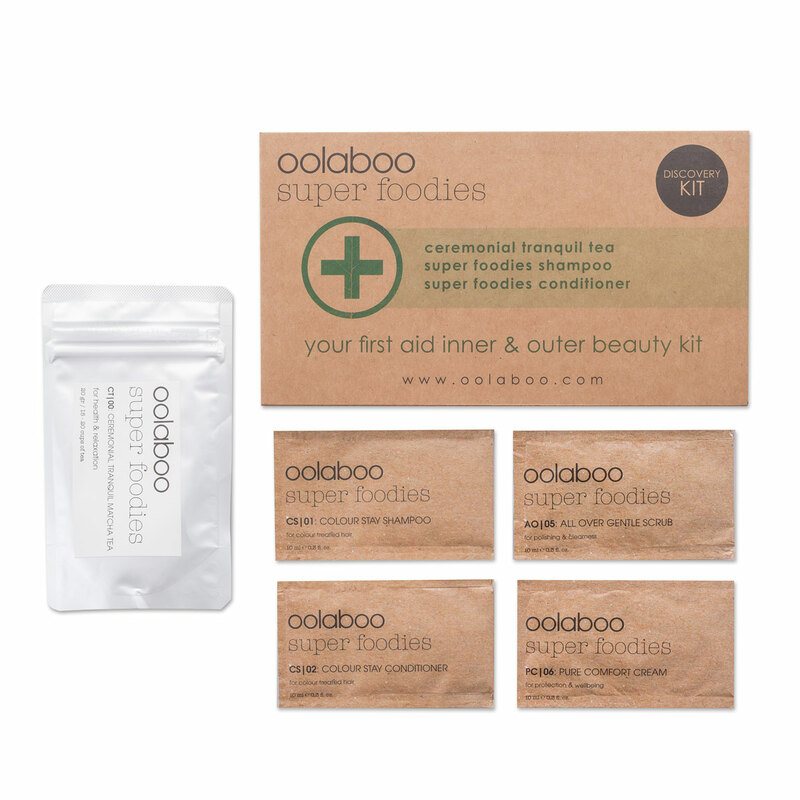 Take this Oolaboo luxury eco-travel set anywhere for an oasis of tranquility wherever your travels may lead you. 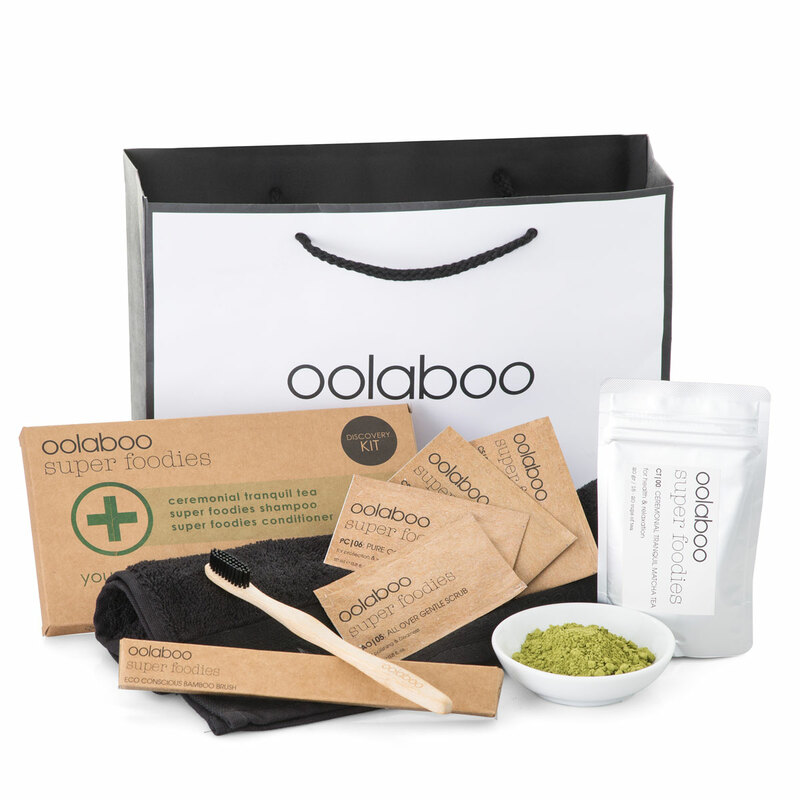 The gift is comprised of a trio of Oolaboo essentials: the Super Foodies Discovery Kit, an Eco Conscious Bamboo Tooth Brush, and a Mini Ceremony Black Towel. The Super Foodies Discovery Kit is filled with travel-sized packets of Oolaboo favorites: the all-over scrub, pure comfort cream, rich moisturizing shampoo, rich moisturizing conditioner, and Ceremonial Tranquil Matcha Tea. 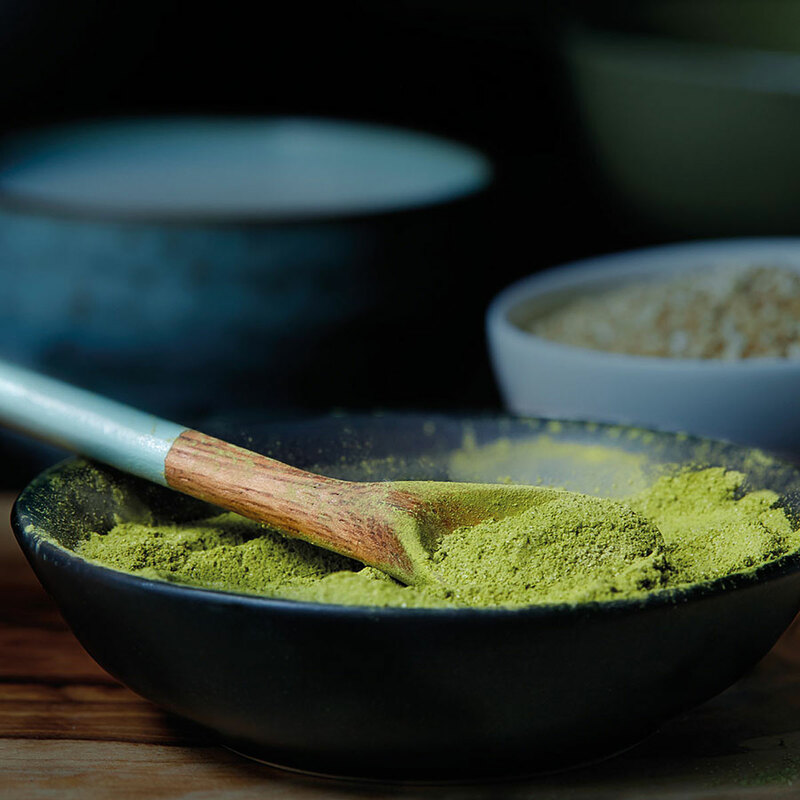 Enjoy the perfect cup of creamy Matcha green tea for a relaxing experience that will soothe away the stress of traveling. 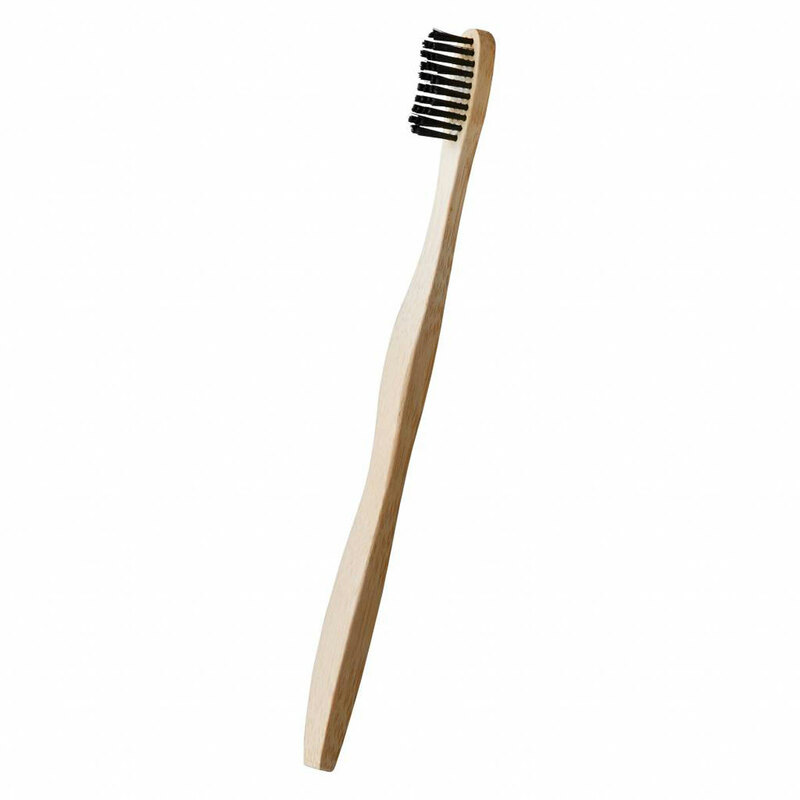 The gift also includes an Eco Conscious Bamboo Tooth Brush to keep teeth fresh and healthy. A mini Ceremony Black Towel is ideal for keeping everything tidy. 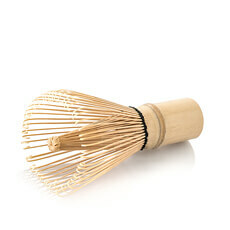 It's a great gift idea for travelers.